Use TOGAF 9.1 in your organisation and develop an enterprise architecture (EA) that’s free to use, consistent and aligned to industry best practices. However, to prove you know how to use this renowned EA effectively, and to get on track for a £70,000 salary (ITJobsWatch), you need to get certified. Passing both TOGAF certification exams and achieving your certification is an investment, but it can be a daunting. This guide will show you how to get TOGAF certified, in five simple steps. Your first choice is between the two-step approach and the combined approach. Take the two-step approach and you’ll pass the two TOGAF exams individually - the Level 1 first, followed by Level 2 when you feel comfortable with your chances of passing it. The combined approach allows you to get both exams out of the way in one sitting, it’s faster but you’ll need to retain more knowledge. A free, perpetual Corporate License is available to any organization wanting to use TOGAF 9.1 entirely for internal purposes. A free, perpetual Academic License is free to any academic organization wanting to use TOGAF 9.1 entirely for academic (teaching and/or research) purposes. An annual Commercial License is available for organizations wishing to exploit TOGAF 9.1 commercially. Study guides are a near essential tool for any student embarking on self-study. As you might imagine for a popular certification like TOGAF, there are several effective guides available in both electronic and physical formats. 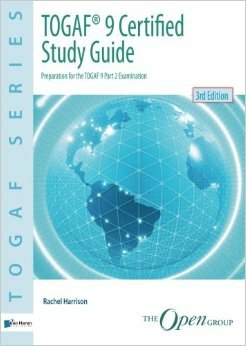 Take a look at the TOGAF® 9 Certified Study Guide - 3rd Edition if you’re attempting either the two-step or combined approach. This comprehensive study guide covers both certification levels and supports you as you prepare for both exams. It’s available on Amazon in both paperback and kindle, depending on your preference. 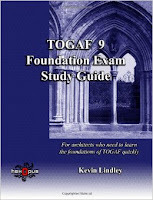 If you’re currently aiming to pass the Level 1 TOGAF certification exam, take a look at the TOGAF 9 Foundation Exam Study Guide. This foundation guide is concentrated and to-the-point, ideal for busy architects who need to learn TOGAF quickly. If you’re struggling with hundreds of pages of TOGAF documentation – this is for you. Get it on Amazon, in kindle and paperback. Take a break from your study guide and TOGAF framework documentation to take a look at some external resources. Revision is much easier when you have a plethora of exam simulators, multiple choice practice exams, free presentations, TOGAF FAQ’s and instructional videos to support your knowledge. To book your exam, simply navigate to Prometric’s website, register and find a local test centre. I don’t have time to self-study! Sometimes, even the most determined can’t fit self-study around their busy lives. For those who can’t invest the time, lack the motivation or simply need to get certified faster, there are other options. 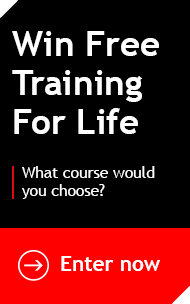 For those who really need to get TOGAF 9.1 certified in the fastest possible time, take a look at Firebrand’s accelerated three day TOGAF course.